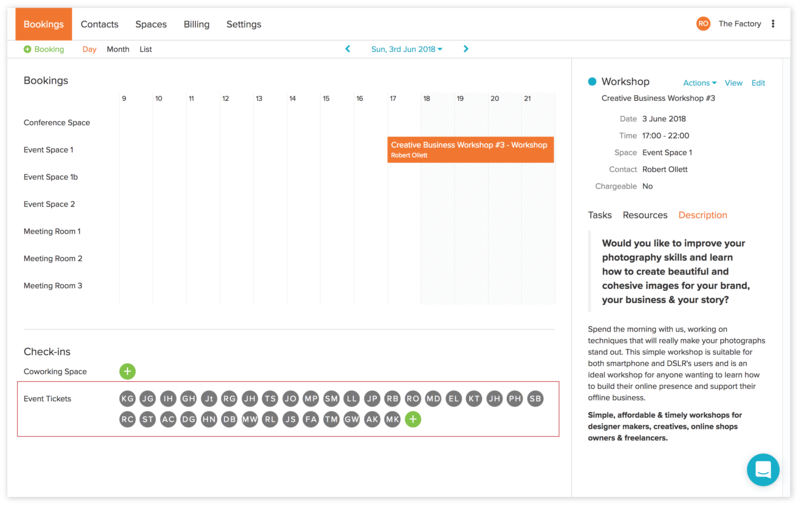 How to set up, manage and sell events in Habu. Go commission free! You might call this a hack (it is! 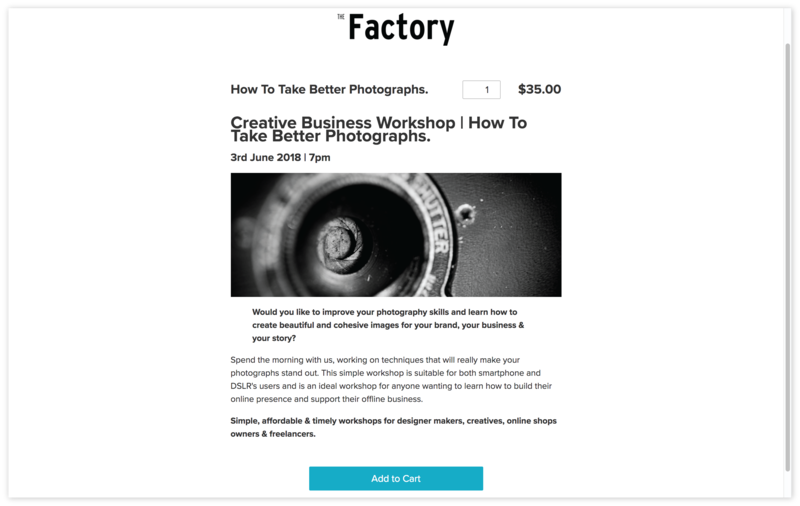 ), but if you don't mind that, I'll run through how you can effectively market and sell 'tickets' through your website for your events using Habu. This allows you to use Habu over other platforms such as Eventbrite . As well as outlining the strategy and benefits of using Habu for your events, I'll also draw attention to the limitations for using Habu for selling events too. The simplest formulation of selling your events though Habu is that you're creating products and providing your members or the public with the ability to purchase them. I'll break the steps down and provide you with two methods for doing so. The first step is to head over Settings > Products and click on + Product. Here add the details key basic details. That's description, price and availability which I've highlighted below. I've also highlighted the use of markdown text formatting in green which make things look more complex than they are. It's important not to undervalue the use of markdown in Habu, as it can really add a great finish to things in a variety of places. 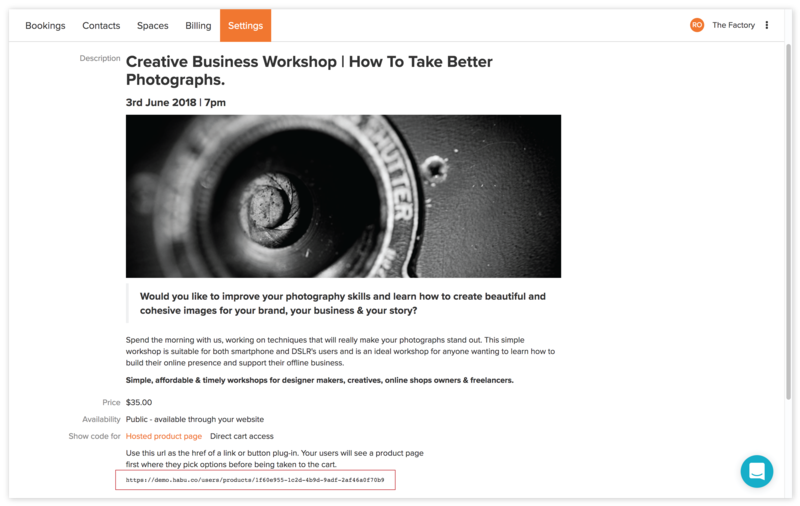 It's likely that you'll have to experiment with the markdown formatting to get it just right but it's worth it so take your time and getting to grips with it as it will give your event page a professional edge. Likely, the trickiest bit will be getting the image correctly sized, uploaded and embedded. I'd recommend cropping your image to 800 px width and giving it between a 300 px to 600 px height, depending on the image. Once you're happy with that, you'll need to upload the image to wherever you'd typically store your images online (your web-host, private page on your website, etc). You can also find free 3rd party hosting services if you need a fast and dirty way of hosting an image. You'll then just need to copy and paste the image url in the way the markdown cheatsheet outlines. check out what it will look like for your prospective event attendees by pasting that URL into your web browser. I'd always advise double and triple checking these details and going through the flow from a customer perspective. 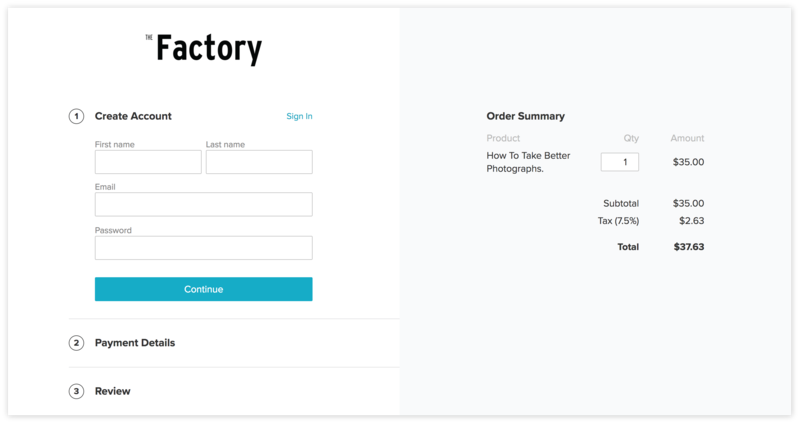 To do this without paying, simply set the product to $0 while you are experimenting. You'll then experience the full checkout process. Once you've published and made the event live on your website, your event attendees will be taken through the Habu checkout flow when they click on the 'Add to Cart' button. Members and users with accounts can sign in, meaning their previously stored details will appear, making the experience super smooth. New users will sign up for an account. They'll also receive an email with the event details and general product instructions. 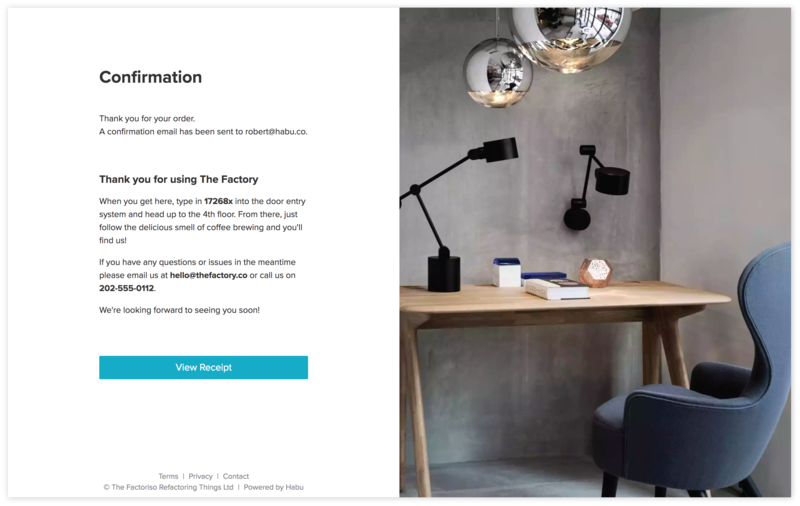 You'll receive an email notification that a product has been purchased too. There's no direct visibility into how many event 'tickets' have been sold within the Habu interface. You can't set hard limits on how many 'tickets' you can sell. Your customer doesn't receive a physical/electronic ticket, just an email with the details of what they've purchased. One way you can ensure you're working with the best data, if these limitations are important to you, is to create a separate spreadsheet and manually record each product purchase notification you'll get to your inbox. If you reach your hard limit (i.e. capacity) you can then remove the link for the event, and make the product visibility private, thus prevent any more purchases. If you're a whizz with Zapier you might even work out how to create a zap for specific emails to trigger adding data to a google spreadsheet, but I'll leave that that to Zapier wizards. The approach here is fundamentally the same as with the previous method. The major difference is that you'll be creating an allowance for the event 'ticket' that will allow you to more easily keep track of how many people have bought the product you've set up for the event. This is because you'll see your customer's purchases appear in the flexible Check-in area. The steps as much the same other than two important changes to the flow. The first thing you'll need to do is go to 'Spaces', click on '+ Space', and select 'Flexible Space' from the dropdown. You don't need to fuss with too many details here, we're only creating this space for the correlating product allowance to connect to. 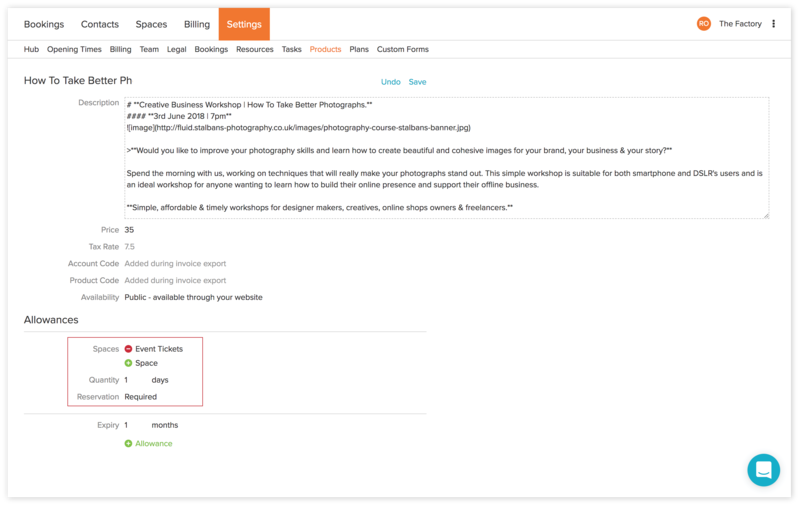 You then need to go to Settings > Products and create your product following the details outlined in Method #1. The key difference is that you need to create the allowance for the event making sure you select your newly created flexible space. They'll be taken to the confirmation screen once everything is complete as with the previous method. 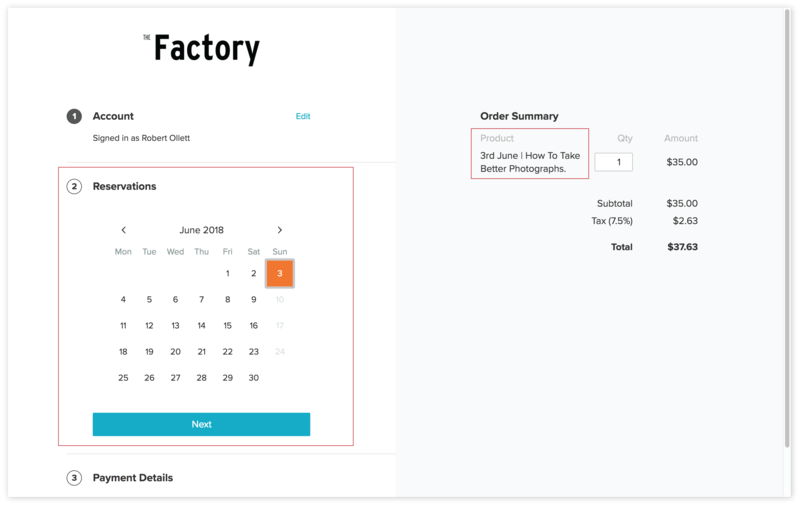 Once you've hit capacity, you can then make set the product to private in settings as well as remove the link in your website (though you could be clever and create a new free product called waiting list and use that to replace the previous link!). more 'tickets' might have been sold than show up on the list of reserved people. Customers who buy more than 1 ticket will only show up as a single reserved person. The same person cannot buy and reserve themselves for another ticket on the same day. The previous use of the day allowance rules them out from choosing the same day in the checkout. Yes, it's a hack. But if you're prepared to work with the limitations I've set out and keep on top of things, then it can be a great way for you to manage and sell your events. And of course you don't even have to be selling your events. You can use this technique for free events, workshops, and much more!